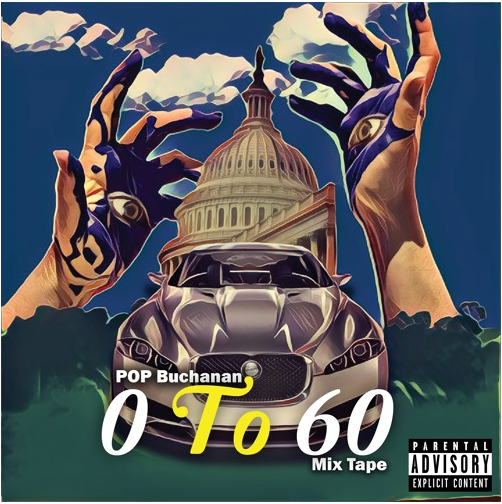 POP BUCHANAN teams with NEW LEASE MUSIC regulars Soho Kings and steals today’s hot spot with track ‘0 To 60’, coming from his mixtape of the same name…something tells me that the bombastic slammer will go down a treat with you guys. It may be this New Yorker’s first time on the blog, but he’s no novice. Also a motivational speaker, POP BUCHANAN promotes sobriety, honesty, and elevation through his tracks, which have been well received. Since its release in the summer, ‘0 To 60’ mixtape has been streamed over a million times on Soundcloud, with the single receiving over 170,000 listens alone on the platform, plus over 10,000 views on YouTube. Collaborators Soho Kings recently had some success on the blog. Their single, ‘Life of the Party’ is currently crowned Song by the Month by the blog. The single also held the title last month. Going by the above credentials, you know you’re onto a good thing here…so before you head off, hit the play button on ‘0-60’.